Bisate Lodge, Wilderness Safari, Rwanda, offers the increasingly sought-after combination of fabulous creature comforts with up close adventure. You only have to look to the recent history of Burberry to see how the information and mass market age has inspired rapid evolution in the luxury sector. At the turn of the millennium, the once venerable British fashion brand dating back to 1856 was devalued as it became ubiquitous, its iconic plaid being heavily knocked off and available in $2 shops on everything from caps to keyrings. It was the epitome of "chav" fashion and become something of a punchline – exclusive no more. But in recent times, Burberry is back to being an ultimate symbol of luxury, by using digital media (and some seriously clever marketing nous) to make its connections with clients personal, customised and experiential. 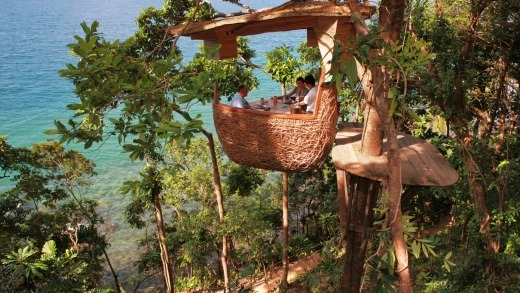 Luxury is increasingly being measured by its 'experiential quotient', making dining options such as the one at eco-luxe Soneva Kiri, where waiters zip-line in your meal, more popular. Therein lies the future of luxury across the board including in travel, where a cliched top-hatted doorman and a chockie on the pillow simply won't cut it anymore. Where once luxury brands imposed themselves as the standard setters, there's been nothing short of a revolution in what constitutes luxury. Firstly, it's now dictated by the needs and desires of clients and guests, making them, in essence, the new arbiters. That means purveyors in this sector are no longer simply selling their vision. They are providing responses to someone else's vision. The change doesn't end there. Luxury is no longer just about status and consumption. And it's no longer the domain of the very well off. As Cynthia Barnes of Time&Place, one of the world's best luxury villa rental services says: "The lust for objects is being eclipsed by a desire for authentic and transformative experiences." This is true for retirees and Millennials. They are more "who I am" than "what I own". Time&Place's local concierges work to that, giving guests inside tracks on hidden gems and access to local events that meet their sense of self. "Luxury is very much now in the eye of the beholder," says Christopher Hill of luxury "philanthro-volunteering" company, Hands Up Holidays. "What I mean by this is that 10 years ago, luxury was fairly well defined in terms of ostentatious extravagance, and this still exists, especially within certain nationalities, but at the same time, luxury is increasingly being measured by its 'experiential quotient' – the more unique the better. Now this can still be in very comfortable settings where your every need is met, where you can have exclusive access to, say, a private viewing of the Sistine Chapel, but it can also be a remote, basic cabin in the Alaskan wilds where you can fly fish amidst bears catching salmon, then heli-bike down a mountain." High-end safari company Rothschild Safaris balances fabulous creature comforts with up close adventure. Leora Rothschild is seeing consumers of her offering as: "The family who wants a trip of a lifetime; families that want to experience that last trip with the kids before they leave the nest and want to do it well and are willing to pay to guarantee they will get an exceptional experience. Also the business person who has a limited time to travel, and so does not want to chance anything being messed up – they want that guarantee that they will be taken care of." There are of course, many other kinds of people consuming luxury but the key point is the willingness to pay for exceptional experience that meets the new criteria. Responses to that include luxury cruise company Ponant, renowned for its exemplary delivery, expanding its range of global expedition voyages. Says Monique Ponfoort, vice-president Ponant Asia Pacific: "These expedition voyages may explore the outer reaches yet they are done so with the comfort and the eco-responsibility befitting the world's youngest fleet of luxury expedition cruise ships." Wendy Wu is another outfit adapting. Since launching its Deluxe product two years ago, this product range has been expanded in response to more demand, increasingly personalising the offerings, with emphasis on providing unique experiences and flexibility. The company sees the future of luxury as being more tailor-made and focused on experiences for only the "privileged few". Luxury experiences in destinations such as Mongolia or Uzbekistan are on the rise, and in 2018 Wendy Wu is entering Kazakhstan, Turkmenistan and Tajikistan to cater to this. 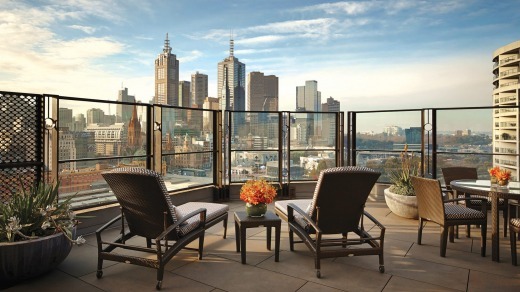 The Langham Hotel in Melbourne where, like many other accommodation options, luxury is no longer just about status and consumption. The "privileged few", though, can be anyone these days, if they have the will and the means. Lucy Jackson Walsh, of luxury tour operator Lightfoot Travel, says: "Everyone is a consumer of luxury. The availability of credit to the consumer has made experiences more accessible and equal to all. However, it's now about the discerning guests who pick their holiday choices with care and consideration. It might be a drive for the aesthetic, a lover of different culture, a passion for food or an interest that takes them to new realms of experience. It depends on the individual – the key is that the characteristics [of the luxury experience] depend on each individual character." Jackson Walsh sees the likes of COMO Hotels & Resorts adapting to this Millennial mindset attribute of "attachment to the culture background". "The discerning Millennial traveller has outgrown the creature comforts and wants a sense of place. At the extreme this may be a casa particular in Havana, Cuba or a homestay in Kalaw, Burma. It doesn't matter about the simplicity – the value is in the local transactions of the day to day. These insights of accommodation are what gives the place a magic but they can equally be placed into the body of the corporate hotel but done with panache like COMO Hotels & Resorts." Hands Up Holidays' family experiences include volunteering with lemurs and other animals in Costa Rica while staying in eco luxury lodges. But at the chain end, Christopher Hill points to hotel brands Six Senses and Soneva "leading the way" in this direction. "Fairmont, for a larger hotel chain, does good things too." Hill sees an increasing focus on sustainable luxury, "and also on connecting with the local people, hearing their stories, sharing laughs and interacting meaningfully with them, but travellers need a context for this that is natural and uncontrived". Sydney-based event and interior designer Alex Zabotto Bentley of AZB Creative is one such traveller and luxury seeker. "I think it is all about the monumental shift from expensive to exclusive. For me, who travels on a six-week mega-vacation annually and probably 12 other business trips a year, I seek authentic, real, memorable experiences with both my down time and professional time. "Luxury travel has changed for me to be really meaningful, immersive experiences in fabulous Airbnb apartments and smaller boutique, localised hotels around the world with like-minded people." But this does not mean the luxury baby has been thrown out with the organically scented bathwater. According to Andrew Jessop, senior vice-president, development worldwide for Langham Hotels & Resorts: "The basic principles of luxury are important: to genuinely care about our guests, provide great service by knowing their needs and wants, provide timely and efficient service and creating memorable experiences for all. This is the only way to drive customer loyalty in the luxury hotel industry. It can be adapted according to guest preferences and by intuition but the foundation of it still remains the same." The overriding principle of luxury now and in the future, he says, is service. "It is all about service when it comes to luxury. Knowing what and when your guests want something and delivering it and exceeding expectations is of utmost importance." But even if basic principles remain the same, the evolution will continue. Lucy Jackson Walsh says: "We are already seeing a shifting mindset in the appetite for experiential travel over the last decade – shifting up a gear to 'transformative travel', where travellers see a holiday as a time for self-reflection or self-development. This could be getting involved in conservation efforts at an African lodge for example. I believe more travellers will start to judge their holiday by the impact they make." Lightfoot Travel works with Wilderness Safaris in Africa, who Jackson Walsh says, "have been instrumental in rhino conservation and their commitment to working with the local community is quite unparalleled. 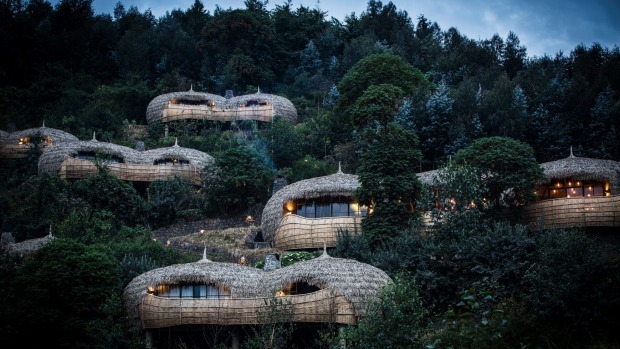 Their newest kid on the block is Bisante Lodge in Rwanda, famous for the critically endangered apes in their natural habitat, whilst guests stay in one of six beautiful abodes, which has been carved into the side of a volcano." Christopher Hill adds: "I think the desire to engage and connect will only grow stronger as a counter-reaction to the growing prevalence of the 'virtual', and with environmental issues probably worsening, the need for sustainable luxury will continue to grow apace." Also, to quote the Sabre report on the future of luxury travel: "Consumers are looking for brands to deliver goods to 'help them fulfil their dreams to be better human beings … Thanks to an ever-greater awareness of the impact of their actions, many travellers feel increasingly guilty about the negative impact their consumption has on the environment, society and their health.' So, there is a rising demand for luxury products that make the world a better place."